Italy has recently passed its “Dopo Di Noi” (“After Us”) legislation, the aim of which is to secure the future of adults with intellectual or other disabilities after their parents or other carers pass on. The bill addresses an anxiety shared and frequently highlighted by parents who care for adult children in Ireland. The bill seeks to safeguard the financial future of adults whose carers have died and to ensure that they have appropriate advocacy. The bill is recent, and the full legislation extremely detailed, but it has been described by former Eurocarers Board Member Licia Boccaletti of Anziani e non Solo as ‘a very important legislative step’. Family Carers Ireland has been liaising with Italian colleagues through the Eurocarers Research Working Group as to the bill’s content and aims, and is preparing a translation of a useful information sheet about its provisions. Publication of a research study exploring resilience in family carers of adults with an intellectual disability, funded by the National Disability Authority, was announced on December 12th. The project was led by Dr Attracta Lafferty of the School of Nursing and Midwifery in University College Dublin, with assistance from Bianca Van Bavel of UCD and input from Dr Laurence Taggart of Ulster University. Data for the study were gathered through survey questionnaires distributed by the Department of Social Protection to recipients of Carer’s Allowance who were caring for a young adult with an intellectual disability. Family Carers Ireland staff and members were heavily involved with the study. Diarmaid O’Sullivan and Paul O’Mahoney from the Smithfield office were involved in the promotion and conduct of the study, and members of FCI’s Parents of Adults with an Intellectual Disability (PAID) subgroup volunteered for ‘cognitive interviewing’ which served to review the questionnaire’s suitability, ensuring it was clear, comprehensible and easy to fill in for any carers who chose to do so. Lucan-based carer Damien Douglas, Chair of the PAID group, and FCI Head of Communications Catherine Cox also sat on the Project Advisory Committee for the study. The full research report, Family Carers’ Experiences of Caring for a Person with an Intellectual Disability, is available on the NDA website here. The Central Statistics Office recently released the results of the Irish Health Survey 2015. The survey suggested that up to 1 in 10 people were providing care for another person, and it incorporated analysis of deprivation levels which showed some correlation between prevalence and intensity of caring responsibilities and deprivation. Analysts of these data and data from the 2011 Census of Population have suggested the pattern of caring broadly follows that of prevalence within a population of life-limiting conditions, which also grows as deprivation increases. The figure of 1 in 10 providing care represents a considerably greater percentage than the just over 4% suggested by the 2011 Census of Population, and is closer to the results of other Censuses such as the UK Census. The detailed data from Census 2016 are expected to appear beginning in March or April 2017, which will provide an opportunity for comparison with previous Censuses and with these 2015 Health Survey data. Results of the survey can be viewed on the CSO website here. On Wednesday 16th November, Family Carers Ireland hosted its 10th annual Carers of the Year Awards. Sponsored by Tunstall Emergency Response, the awards celebrate the dedication and commitment of the 200,000 family carers across Ireland. Twenty-five regional family carers were presented with special awards and Dorothy Meaney from Dooradoyle, Limerick was announced as Ireland’s Carer of the Year 2016. Dorothy Meaney, Ireland’s Carer of the Year, provides full time care to her daughter Zondra (31 years old) who has Ehlers Danlos Syndrome which affects all the systems of the body. Zondra’s illness has progressed in the past three years, and Dorothy gave up work to look after her daughter and Zondra’s 9-year-old son (Dorothy’s grandson). One of the most difficult things about Zondra’s disorder is the fact there are no specialists in Ireland who can treat her, and so Dorothy and Zondra travel to the UK every 12 weeks for treatment. Dorothy was also caring for her own mother, who whose passing unfortunately meant the family could not attend the ceremony. Laura Fitzgerald, who is a friend of the family, collected Dorothy’s award on her behalf. For the first time, four regional Young Carers of the Year were chosen, Craig McSweeney (16 years old) was awarded Munster Young Carer of the Year, Sean Collins (13 years old) awarded Ulster/Connaught Young Carer of the Year, Seunfunmi Solanke (16 years old) awarded Leinster Young Carer of the Year and Úna Mc Nicholas (17 years old) awarded Dublin Young Carer of the Year. They were each presented with their awards by broadcasters and patrons of Family Carers Ireland, Mary Kennedy and Marty Whelan. Munster Young Carer of the Year was Craig McSweeney from Wilton in Cork, he has three brothers, and his oldest brother Cillian (26 years old) is severely physically disabled. Craig’s Dad passed away in 2015 and since then Craig has been an amazing support to his Mum, Angela, and has taken over the role of helping her with Cillian’s care. Craig is constantly at Cillian’s side, and has become his mother’s right arm so to speak. Angela said without his help life would be so much more difficult. Craig has had a tough year since his dad died, and he also has Tourette’s syndrome, but has an amazing attitude towards it as he tries not to let it interfere with his life. Ulster/Connaught Young Carer of the Year was Sean Collins from Smithboro, Co. Monaghan and he helps his parents Annette and Donal care for his sister Catherine. Catherine has profound intellectual disabilities; she is a member of Special Olympics Ireland and Sean attends the club each week to assist her with the activities. Sean’s mother, Anette, is currently undergoing cancer treatment and Sean is a wonderful support to both his parents even finding time to fundraise during the summer raising over €2000 for Catherine’s school. Leinster Young Carer of the Year was Seunfunmi Solanke from Slane, Co. Meath and she provides care for her younger brother Moyo who has Down Syndrome. She is always helping her brother in all aspects of life from speech lessons, Special Olympics training, advocating for him and educating family and friends about Down Syndrome. Seunfunmi has great patience and kindness. Dublin Young Carer of the Year was Úna Mc Nicholas from Lucan, Co. Dublin and has been caring for her older sister Elizabeth for over 8 years. Elizabeth is living with severe brain and spinal injuries and has developed a sleeping disorder and Adrenal Insufficiency which is a life-threatening condition. Úna has learned how to manage these conditions. As well as caring for her sister Úna also cares for her Dad who has been very ill after having several heart attacks. What makes her even more special is the fact that Úna herself is living with a serious disability which not only affects her mobility but also causes her a lot of pain. Following the Awards, the four regional Young Carers of the Year made an appearance on The Late Late Show on Friday 18th November, where they discussed their caring roles and how it impacted on their lives as teenagers. The Oireachtas Committee on the Future of Healthcare was established as a cross-party, non-partisan committee tasked with formulating a strategy for healthcare in Ireland over the next decade and beyond. Its Chairperson is Roisin Shortall TD. Following on from the Long-Term Care Forum facilitated by SAGE/Third Age Ireland, at which representatives from Family Carers Ireland and ALONE were also keynote speakers, an invitation was extended to key participants in the forum to present to the JCFH on 9th November 2016. Dr Michael Browne presented a summary of his report arising from submissions to the Long-Term Care Forum, and Family Carers CEO John Dunne gave a presentation explaining in detail the place in and importance of family carers to the Irish healthcare system, and outlining how this importance was not reflected in their treatment by that system. The opening statements can be viewed at the page for the Committee’s business on the Oireachtas website here. 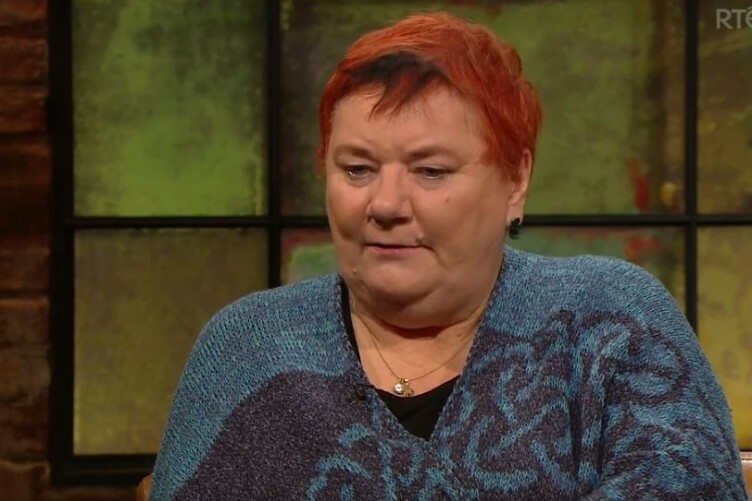 Wexford carer Johanne Powell was interviewed on Friday 25th November on The Late Late Show. Johanne’s appearance came about after the huge response generated by a profile in the Irish Times. Journalist Rosita Boland travelled to Johanne’s home and stayed with her and her husband Alan, observing their daily routine with their daughter Siobhan, and discussing their years caring for her. Siobhan, now 32, has ring chromosome 8 disorder, meaning she can do nothing for herself. Johanne spoke frankly about the frustrations of life as a carer, about the boredom of a routine that does not change, and the absence, from her daughter’s and from her own and her husband’s as parents, of the milestones that usually mark a life. Johanne has been active with Family Carers Ireland for many years, and was nominated to the carer panel of FCI’s Board of Directors at the National Carers Convention on October 26th last. The profile of Johanne and Alan by Rosita Boland can be read here. A short extract from Johanne’s Late Late Show appearance is archived on the show’s Twitter account, here. The response from readers and the wider public which Johanne’s story generated led to the Irish Times running a ‘Carers in Crisis’ series, inviting carers around the country to submit stories of the difficulties they faced. Among those who shared their story with the Irish Times were Mary and Denis McDonnell, from Cork, who discussed their fears for the future of their daughter Sinead, for whom they have provided care for 53 years. Mary, who spoke at the launch of FCI’s pre-Budget submission last June about the lack of respite and how the closure of respite centres without replacement affected her family, spoke of her anxiety about care arrangements for Sinead when she and Denis died or could no longer care for their daughter. You can read the article here. In its Saturday, November 26th edition, the Times carried an opinion piece by FCI Head of Communications Catherine Cox, “Family Carers are Being Exploited by State”, which you can read here.